Growing watermelons might seem easy enough however there could be some complications. When healthy, the watermelon is a tender flowering vine being very large due to its sprawling growth habit. Furthermore, it will make for incredible sweet edible fruits. But, you should know that a healthy watermelon vine has lush green leaves and stems. 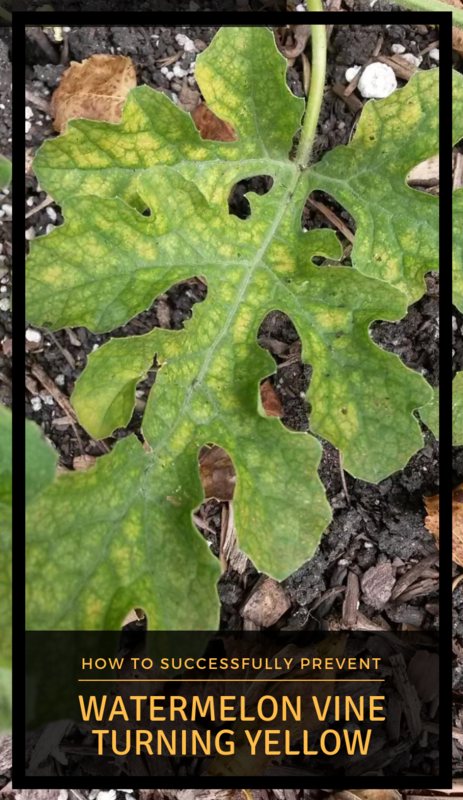 Thus, if you notice that your watermelon vine is turning yellow, there is a cause of concern. It means that your plant might not be that healthy and it faces the damaging effects of pests, diseases or not proper care. Hence, keep your watermelon vine in check and read this article to see how to successfully prevent the vine from turning yellow. One common disease when it comes to watermelon vine might be the fusarium wilt. This is a soil fungus that makes the vine turn yellow. A consequence of this disease is when the plant is wilting really heavily on one side and then moving to the other. There is not a natural solution for you to get rid of it but you could prevent from ever happening again. Thus, make sure you never plant another watermelon in that soil. Furthermore, you should also not use the seeds that come from a wilted watermelon vine. A big factor in causing yellowing vine is the pests. The ones that are feeding of the foliage, such as spider mites or whiteflies will cause several layers of damage. Thus, be on the lookout and try to avoid a heavy infestation. To prevent them from attacking your plant, wash it with an insecticidal soap and introduce predatory insects. The whiteflies will secrete a sticky substance that will further attract the ants making a serious damage on your plant. Thus, as you can imagine, taking care is the best defense against these pests and diseases. Hence, make sure you always remove the weeds around your plant. Weeds will take off all the water from your watermelon vine and will provide shelter for pests. Furthermore, consider mulching with organic matter or black plastic. Lastly, you should plant your watermelons in bright, sunny locations, ensuring optimal drainage for the soil.